We have been supporting Claire since 2008. Our commitment to children and young people like Claire is for the long-term. We want to be with her at every step of her musical journey so she receives the support she needs to realise her ambition. She was born with a love and talent for music and a passion to make her musical dreams come true. She was also born on the Autistic spectrum. We’ve been able to be there for Claire thanks to support such as yours. We’d like to be with her for as long as she needs us to be. When we first met Claire she would only sing in the shower. Through Music of Life, Claire was introduced to working in a group (the very first project she joined was Handel’s Messiah at St John’s Smith Square with the Orchestra of St John’s!) and highly demanding 1:1 music training. She has been working tirelessly, achieving merits and distinctions in all ABRSM exams she did, including Piano and Theory, in addition to her singing Diploma in Performance. 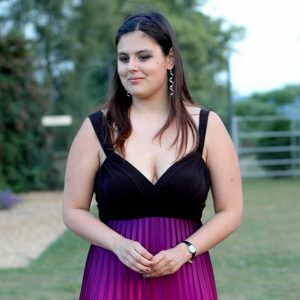 Eight years on, having studied with Christine Cairns, professor at Birmingham Conservatoire and, most recently, with Jeff Stewart, professor at the Royal College of Music, Claire sings solos with choirs and orchestras and learns operatic arias in four languages. She travels to rehearsals independently and she smiles all the time! You can listen to Claire singing here. Claire is just about to release her first professional album. She enjoys a busy musical life combining singing with further studies and inspiring other young people to live their musical dreams.